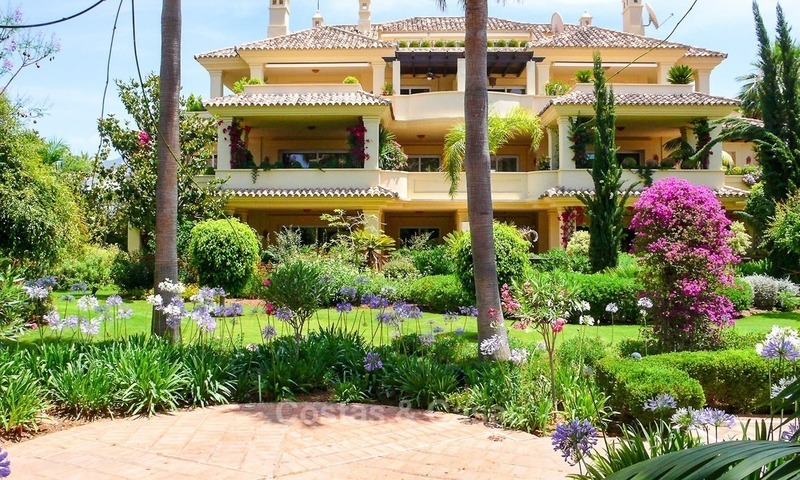 Set in the heart of Nueva Andalucia these apartments are of the highest standards of any complex in Marbella. Right in between 2 golf course, one of which is adjacent and walking distance to 2 club houses. 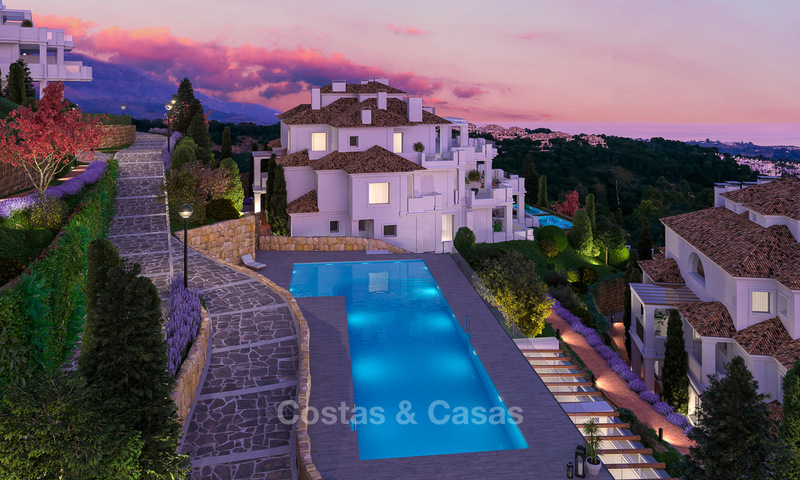 Only minutes away from other golf courses, Puerto Banus and all amenities. Gated and secure complex with 24h. security, 3 swimming pools, 1 of which is heated. Abundant and manicured landscaped subtropical gardens. REDUCED IN PRICE! 6 bedroomed apartment! Luxury complex set between two renowned golf courses of which one is bordering the development and at walking distance of 2 club houses. The gated complex is kept in an immaculate condition, has well-manicured lush sub-tropical gardens with ponds, 3 swimming pools of which one is heated, gym and sauna, 24h.security and full property management services. 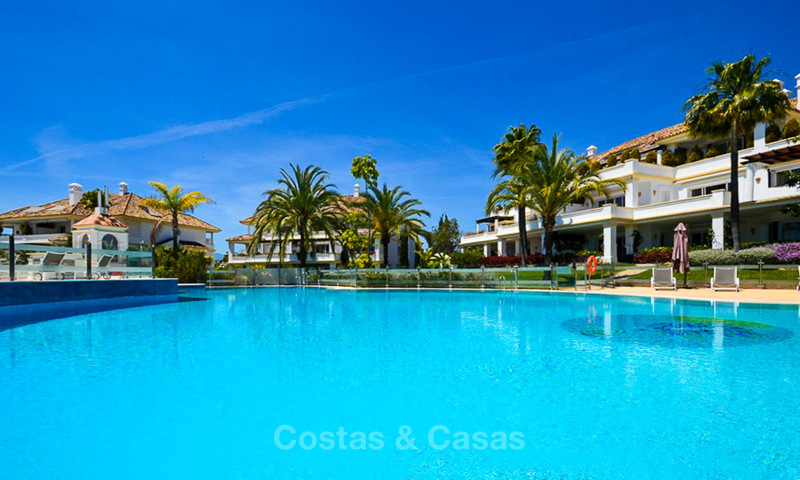 Beachfront luxury apartment for sale in Los Granados, Puerto Banus - Marbella. Drastically reduced from 4.000.000€ Short walking distance to the port of Puerto Banus and all amenities. Spacious 5 bedroom, 5 bathroom apartment (2 apartments joint together) Elevated ground floor apartment with garden and sea view. Private swimming pool and garden of 137m2. South west facing. Large terraces. Gated front line beach development with 24h. security, heated swimming pool, games room, club, restaurant, gym and sauna. Very successful project, selling fast. Panoramic views over golf valley and sea. Contemporary interior design with ample bright airy spaces. Wide, partially shaded terraces. Luxury finishes. Clubhouse, spa, indoor and heated outdoor pool. 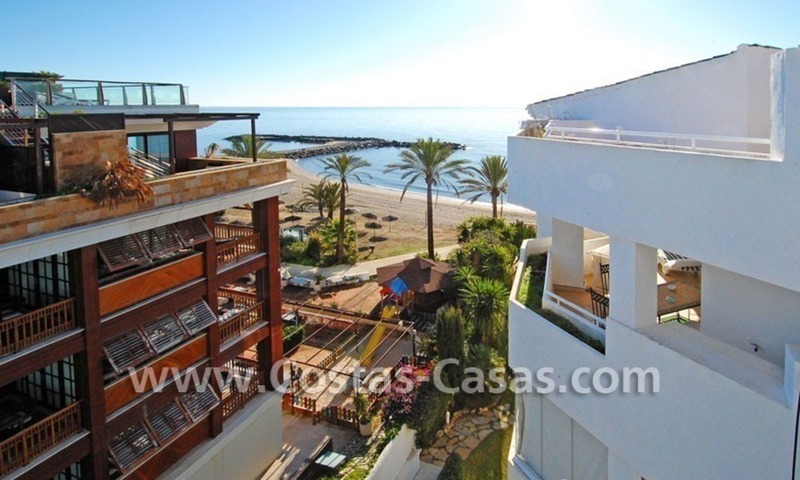 Beachfront apartment penthouse for sale, La Duquesa, Costa del Sol We have an 2 and 3 bedroom apartment and a 5 bedroom penthouse for sale in this complex. It is beachfront, with several chiringuito´s on the beach, the port of La Duquesa within easy walking distance and the long boulevard of Sabinillas starting on the other side of the port. A supermarket and other amenities are also at easy walking distance. Spacious apartments and terraces, all day sun. Manicured communal gardens with lovely pool. 24h security. More info and photos will follow. Please inquire if you are seriously interested. 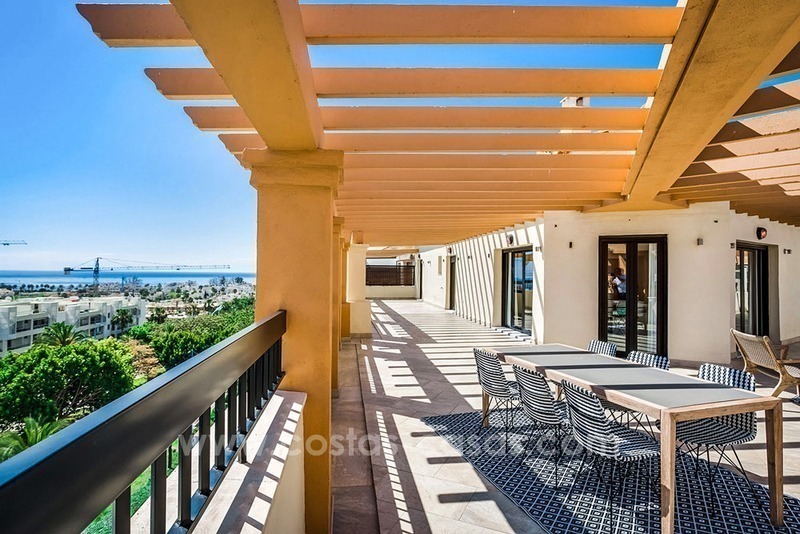 Large corner penthouse with Sea and mountain views in the heart of San Pedro, Marbella The large penthouse is located in the heart of San Pedro – home to many shops, restaurants – and close to the beaches and the seaside promenade leading to Puerto Banús. Also close to the brand new boulevard with 55.000m2 of public space. The massive 160m2 corner terrace enjoys spectacular Sea and mountain views. The penthouse also has an impressive entrance hall, a living room with a double height ceiling that connects to a spacious, fully equipped kitchen with island. SOLD Exclusive penthouse apartment for sale in city center of Puerto Banus. Shoppincenters, port, beach,..at walking distance. South orientation. Views over the square and sea. 5 bedrooms in total. Mainfloor: 4 bedrooms, of which 3 ensuite and 1 family shower. Lounge, kitchen and large terrace off lounge and 2 bedrooms ensuite. Upstairs: huge office, bedroom or second living room, plus leisure room, including shower, Jacuzzi, Sauna. Large terrace, solarium, gym, bbq. 24h reception.